Westlake Project: Build a Moat! 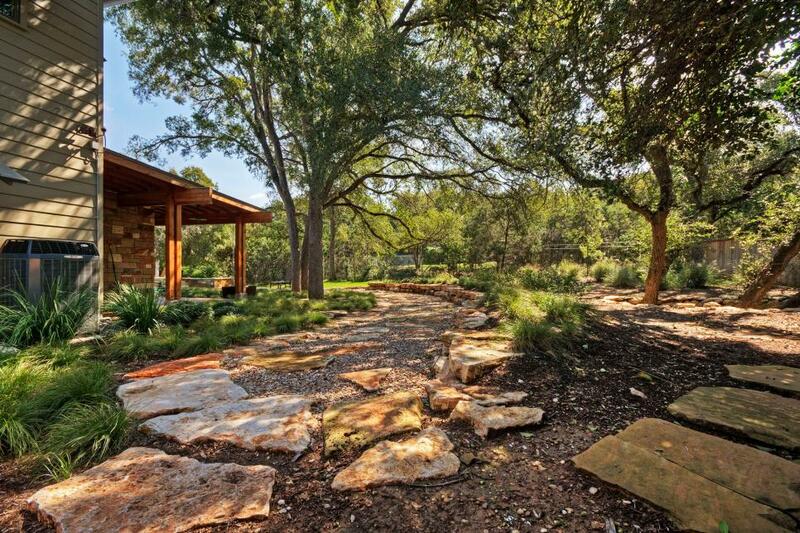 Mark Biechler of Pearson Landscape in Austin, Texas created a solution for a homeowner in Westlake, Texas whose home tended to flood during heavy rainfall. To solve the problem, a moat was built around the house (designed by Gregory Thomas of CG&S Design Build). Let it rain, let it pour. This house can now easily handle water as deep as 8 inches or more in its gravel covered moat that redistributes the excess. To appreciate the work involved in this installation, refer to these steps to make your own! The full effect of the renovated yard and entrance is visible in this view from the far end of the front yard. 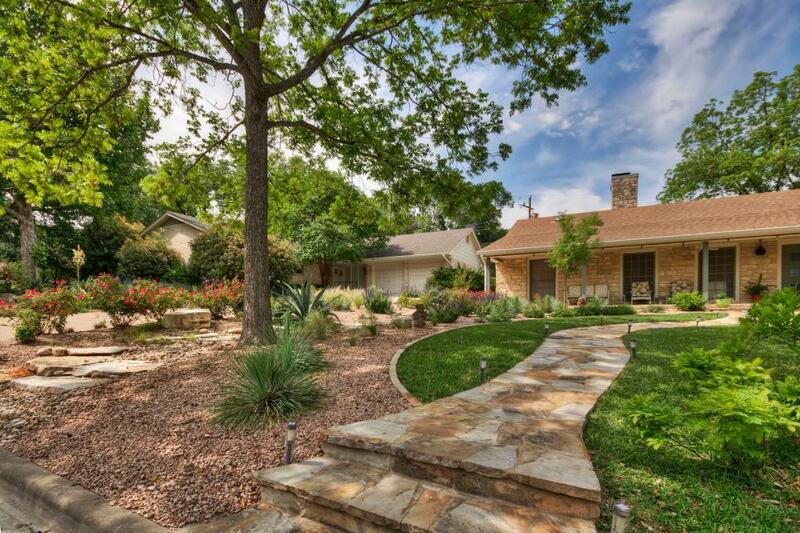 You can see how the natural landscaping adds color and texture to the yard while protecting it from street flooding. 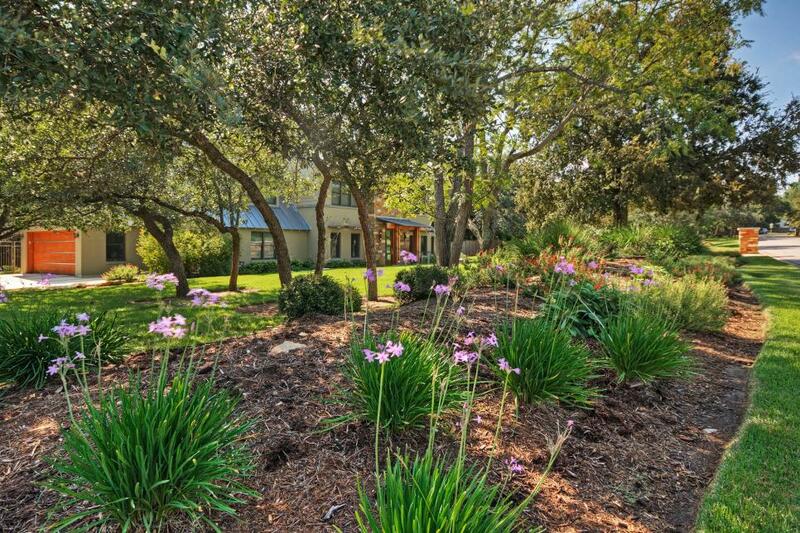 Just as aesthetically pleasing as the front yard makeover is the newly reconstructed back yard which presents an organic, natural landscape designed for water conservation. 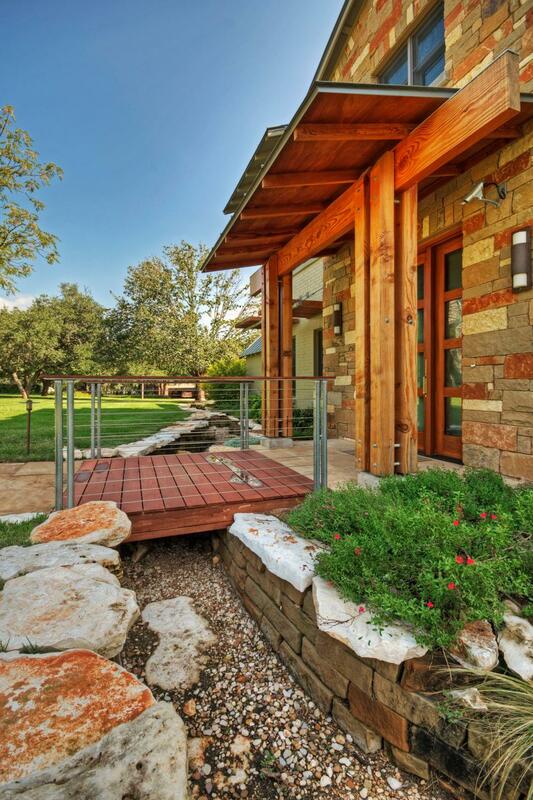 The second project by Mark Biechler of Pearson Landscape in Austin, Texas involved creating an arroyo (dry creek bed) between two properties that would effectively handle storm water runoff and also serve as photogenic xeriscaping. 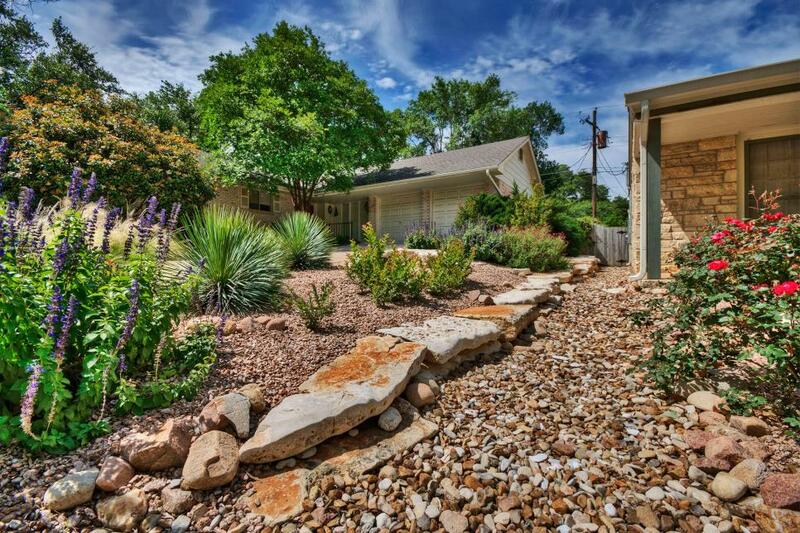 This street view of the completed dry creek shows how on the far left, any excess water will be channeled over the gravel and large rock slabs into the gutter. 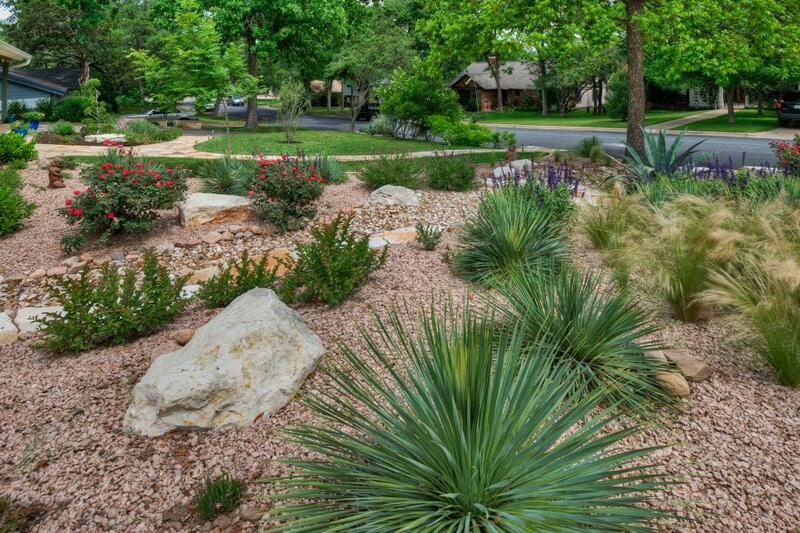 Many native plantings along the arroyo help conserve water while adding color and decoration such as Yucca rostrata (in the foreground), Mexican feathergrass to the far right, and in the background, ‘Mystic Spires Blue’ sage, Knockout roses and salvia. To appreciate the work involved in this installation, refer to these steps to make your own!